Academy of Personalized Learning APL is Northern Alberta’s newest Home Schooling provider, offering parent-directed, teacher-directed and blended learning for children throughout Alberta. APL strives to provide home schooling meeting the unique needs of each child in a caring and respectful manner. APL takes advantage of the many supports available to students in High Prairie School Division, including Literacy and Numeracy professional support for parents and students, career coaching for secondary students, and social-emotional counselling for students at all grade levels. APL also organizes field trips, extra-curricular sports and more. Programming options are chosen by the parent. 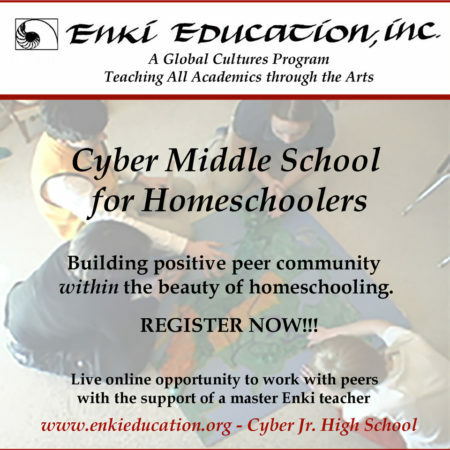 Become a part of this quality home school. Alberta Distance Learning Centre Alberta Distance Learning Centre is a critical partner in the Alberta education system, providing 21st century learning opportunities to meet the diverse and evolving needs of Alberta’s students and the workplace. ADLC offers core and complementary courses as outlined in Alberta Education’s programs of study. Argyll Centre From a variety of home-based education programs to on-site programming and enrichment opportunities, Argyll is the answer for choice and flexibility in your education. Our wide range of programs and learning strategies allow you to learn your way. E2Academy E2 Academy is unlike any other school. Our promise is to use our talent- and strength-based, individualized and student-centered program to educate “twice-exceptional” students – outside-the-box thinkers with high ability and potential who also have learning differences. We educate a diverse population of gifted students with a range of strengths, interests and learning differences. Golden Hills Home Education GHLA’s home learning programs are designed for families who wish to be responsible for the program of studies that is offered to their children during the school year. A wide variety of curriculum choices are available to parents. GHLA staff will work with parents to tailor a program that best fits their child’s needs. Parents develop, present and evaluate the progress of the student, and maintain a record of their children’s progress with support and encouragement from caring staff. Home Learning Connections Over the years we have come to value the effective use of time and the creative flexibility of learning at home. This program provides the learner with the opportunitiesto acquire the established disciplines of math, science, social studies and language arts, as well as interest-based subjects.We believe that our children’s education should focus on academic content through student interests, good research skills and critical thinking skills and that students shouldhave fun. Parents have the right to educate their children at home and are welcome to choose from a wide range of diverse philosophies and programs. These vary in structure from unique family-designed programs to the Alberta Education curriculum. Phoenix Foundation Phoenix is a non-profit private school that specializes in homeschooling. Our mission is to provide unique learning opportunities for families so that each young person may develop into a life-long learner and an active, responsible global citizen. Rocky View Schools Rocky View Schools offers a variety of home schooling options for students from grades 1- 12 through its Rocky View Community Learning Centre. A variety of online and print based programs are offered for both basic home schooling and teacher facilitated programs. Parents wishing to provided their own curriculum can register their children with RVLC as basic home schooling students, while parents looking for teacher support can utilize our teacher facilitated program. We also accept students wishing to take a blended program. Students registering full- time prior to September 30, may be eligible for our supplementary funding program. Willow Home Ed Willow Home Ed offers a professional, non-denominational, independent home education, serving students and families in every community across Alberta. We respect and support families in their home education choice. We also offer a self-directed high school for credit option. We take pride in going the extra mile for our families. Bearspaw Christian School Bearspaw Christian School is thrilled to offer the choice of a homeschooling program because we recognize the central role that parents play in the education of their children. Home education allows for an individualized tutorial environment that instills your family values, builds a love for lifelong learning and supports the unique and special ways that God has created your children and family. BCS @Home is the most unique homeschooling program in Calgary because of the support and community connections that we offer to families. We would love to support your homeschooling goals! The Centre for Learning@HOME Combining the expertise of Okotoks Home Schooling Services and St. Paul’s Academy Online School, The Centre for Learning@HOME is a fully-accredited and publicly-funded Christian school, open to all Alberta students and those studying abroad – no registration fees! Education Unlimited Education Unlimited operates as a home education provider in association with The Morinville Christian School Board, accepting notifications (registrations) from home educating families within the Province of Alberta. We minster to parents wanting to train their children at home, within a biblical perspective, but welcome all who wish to join us. We only offer alternatives to public, state programming and do not advance public accreditation. We accept and offer a minimum of government resources to parents in exchange for the maximum freedom.Education Unlimited has a reputation for providing encouragement, expert advice and leadership for home educating families in Alberta and across Canada. The Home Education Exchange The Home Education Exchange (THEE) is a non-denominational Christian organization based in Alberta, Canada, that exists to support and enrich the educational efforts of families that are exercising their God given responsibility to educate their children for life and eternity. We have been serving families in Alberta and beyond since 1992. Officially, thee administers the home education program of the private school authority of the Newell Christian School, and our home education program enables parents to homeschool their child or children with us regardless of where they live here in Alberta. While our home school program is part of a non-denominational Christian school, we welcome and serve families from a host of differing backgrounds. Koinonia Christian School We believe in choice! Offering quality choices for your child’s Christian education is our way of supporting your family and building community! Our staff are devoted to Christ and dedicated to supporting students and families in a variety of @Home programs. NorthStar Academy With three choices to help support Christian Education, NorthStar Academy Canada is meeting the individual needs of its students. NorthStar Academy Canada offers an online program, a traditional home schooling program and an individualized program. PACeS Prairie Adventist Christian eSchool PACeS is an exciting opportunity for Adventist students living in and outside of Alberta. Each year we will grow in our relationship with each other and learn in many exciting ways. Also, in Alberta, we offer the traditional homeschooling option with a facilitator doing home visits twice a year. This is a great option if you like being in charge of your child’s education. Red Deer Catholic Regional Schools We offer parents the option of enrolling their children in a traditional home education program or a blended home education program. See St. Gabriel Learning Centre for more information. Roots Homeschooling Roots, Supporting and Assisting Christian Home Educators, provides support for home education, frequently referred to as traditional home education, as defined in the Alberta Home Education Regulations (1(e) of the Home Education Regulation 145/2006): Home education program “means an education program provided by the parent to a student in accordance with this Regulation, but does not include any portion of an education program that is the responsibility of board or an accredited private school to deliver.” Families looking for blended, fully aligned or online programs are encouraged to contact the Alberta Online School. Within the Roots program, the parents take the responsibility for their child’s education. They choose the curriculum, set goals for the year, evaluate their child’s progress and decide if standardized testing will take place. Roots facilitators complete the two required visits a school year and are available to answer questions and give guidance. Their responsibility is to help you meet your goals, which may or may not correlate with Alberta Education goals. School of Hope and Vermilion Home Schooling The School of Hope offers flexible, accessible, and affordable independent learning. We are a distance education leader, providing a diverse range of courses from grades 1 to 12. Wisdom Home Schooling WISDOM Home Schooling helps parents fulfill all the requirements of the Alberta Home Education regulation, as the home education administration of Trinity Christian School. WISDOM was established for the sole purpose of supporting traditional home schooling, where parents have control over what is taught to their children, how it is taught, and when it is taught. Because the members of our board of directors, our facilitating team, our support staff and our Parent Advisory Council are home schooling parents and/or graduates, all board decisions reflect this insight and commitment. WISDOM accepts home schooling families from anywhere in the province of Alberta, Canada.